Always think critically when looking at media message. The purpose behind media message is to entertain, inform, profit, explain and persuade. Look critically at media message and identify what the media message lacks in information. 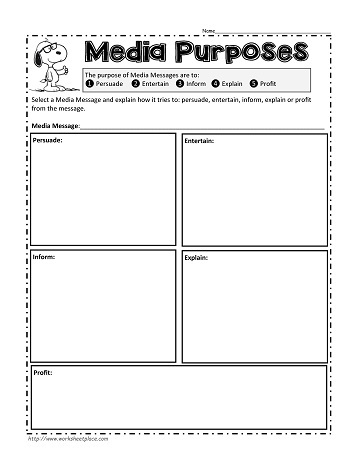 This media purpose worksheet asks you to identify each of the purposes within the messages.